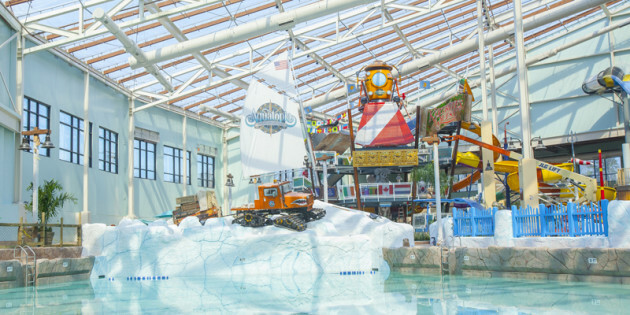 Cohoes, NY, USA (December 14, 2015) — The off season has become a thing of the past with the emergence of indoor waterparks across the country, meaning getaways are no longer limited to warm state travel and Aquatic Development Group is behind many of them. 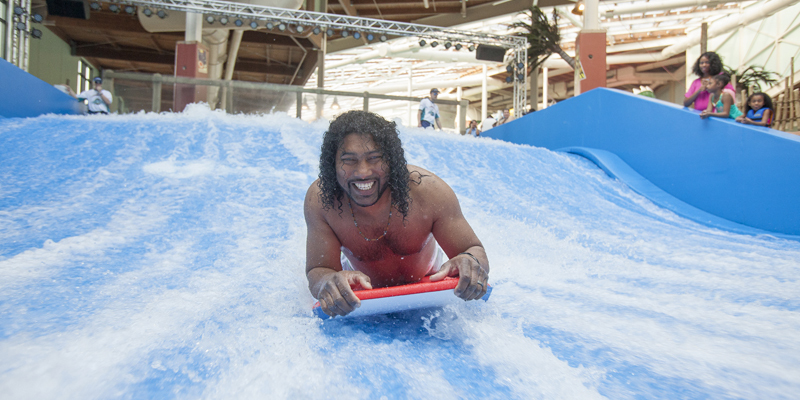 In a poll conducted by USA Today that named the top indoor waterparks across the United States, Aquatic Development Group designed and built 5 of the top 10 parks while their aquatic equipment, including wave systems, transparent roofing systems, filtration equipment and FlowRider® attractions were featured in 9 out of the top 10 parks. From the first conceptual design, all the way through construction and completion, their design, engineering and construction expertise proves that they provide park owners and visitors with an experience to remember. Number 1 topping the USA Today Indoor Waterpark list is Aquatopia at Camelback Resort. 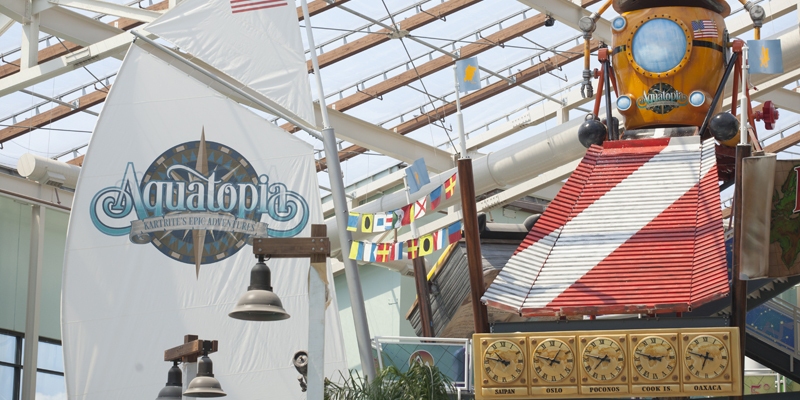 The most innovative indoor waterpark in North America, Aquatopia features attractions such as the Bombora Double Flowrider®, Great Kanagawa Wave Pool and the one-of-a-kind Lost River Adventure. No other indoor facility provides as much variety in theming, unique pool designs, thrilling rides, expansive lounge areas and available food and beverage options.